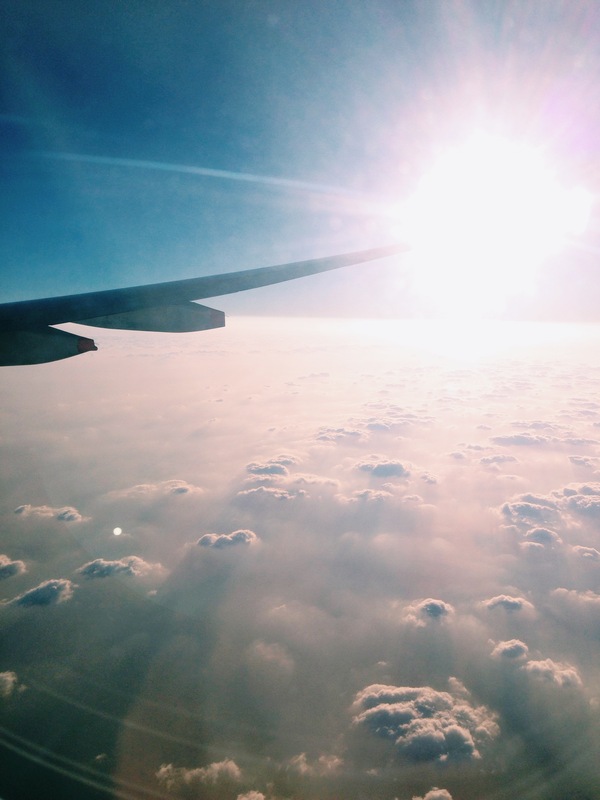 I’ve travelled alone with my parents before, but never to places that needed a plan. Since I had a week to get ready, I decided to follow in my friend S’s footsteps, and organized our entire trip using Google Docs. From arrival to departure and everything in-between, I’m so glad I did because it would have been a mess otherwise! A and I snowboard in Japan very often, and we always spend a few days in and around Tokyo. After this trip to Osaka, I ‘m thinking of spending more time around Osaka instead :p It could be the amazing food, the fact that Kobe and Kyoto are so close, or because the people we met in Osaka were so friendly. If you’re planning a trip to Osaka, start by planning your meals first! They were the highlight for us, and the top reason why we can’t wait to go back. I’m not a brave eater. I’m usually very picky, and I can’t eat a lot. However I think that I tried more new types of food this trip, than I ever have before – and I loved every morsel. If you’re looking for an easy way to plan some meals in Osaka, here are three places you cannot miss. 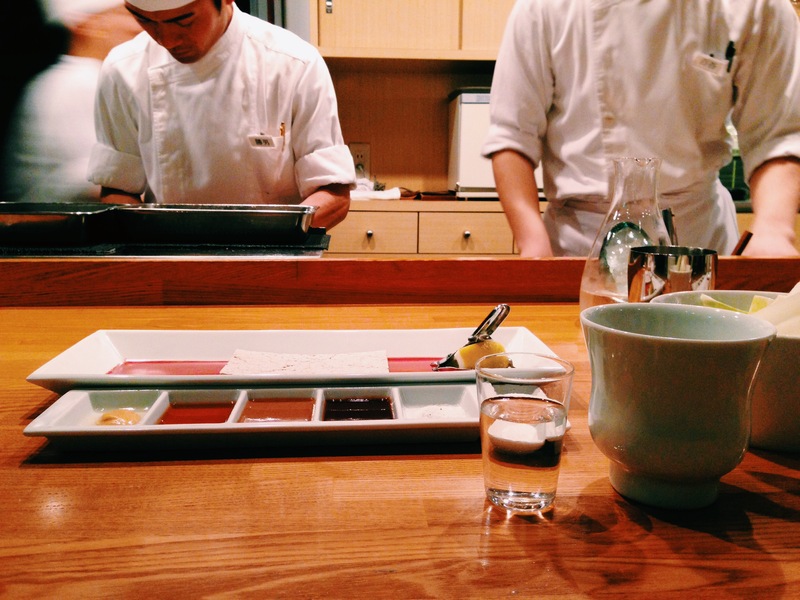 All three places have Michelin stars, yet none of the dinners cost more than 10,000 yen each, including sake. Pretty amazing! TIP: Kigawa is on a lane off Shinsaibashi, so try to arrange dinner after shopping around that area. The closest train station is Shinsaibashi, take the Daimaru exit. Like most fussy eaters, I only eat certain vegetables. However when you’re seated at the counter across from the stern-faced chef Nagai, you’ll eat anything he puts on your plate. I’m glad I did – it’s the first time in years I’ve had sweet potato, and definitely the first ever I’ve had lemongrass tempura. Every single piece was crisp and light, and the tempura batter complemented the fresh produce perfectly. Even my mum – who eats even less than me – finished all 11 varieties of tempura. I don’t think I’ll be ordering tempura at other Japanese restaurants any time soon. TIP: Chef Nagai may look stern, but he’s really nice once you get to know him. Tenshige is a tiny restaurant, so reservations are essential. Kushiage (or Kushikatsu) is a Osaka dish – crumbed and fried sticks of goodness that taste amazing, especially in winter. At Rokukaku-tei, the dinner set menu comes with 20 different types of sticks – or until you ask them to stop. I was full after ten, but I couldn’t stop without trying them all! The sticks were lightly battered and fried, and not oily at all. I’m craving them right now, that’s how delicious they were. Sigh. TIP: If you’re having Rokukaku-tei for dinner, try to have a light lunch. Your tummy will thank you. Another reason why I love Osaka – it’s just a short train ride away to Kinosaki Onsen, Kobe and Kyoto ;) I’ll leave that for my next post!